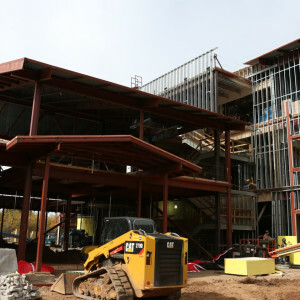 From the academic spaces to the performing arts center and athletic facilities, it is evident that the community had a distinct vision for the project. 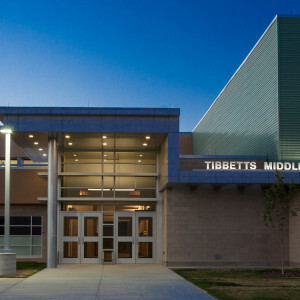 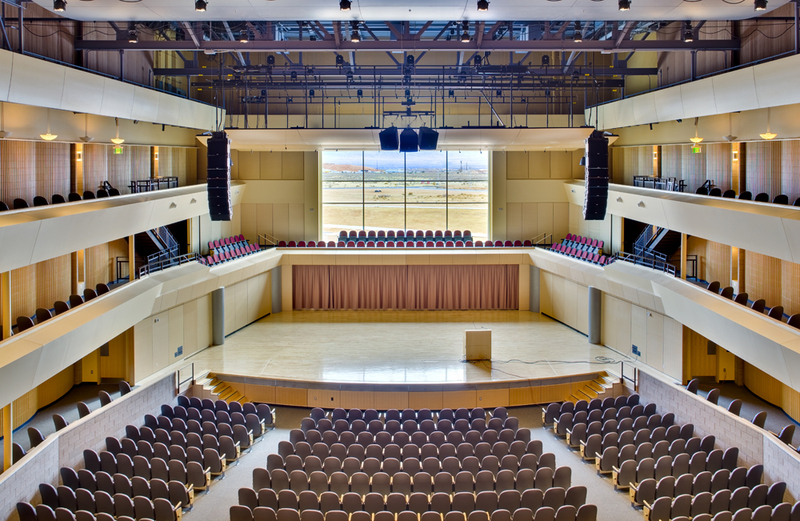 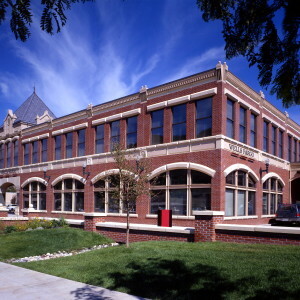 The performing arts center features a 1,120-seat auditorium, 4,000 square foot stage, orchestra pit, forty foot fly tower, fixed and motorized directional acoustic panels, catwalks, motorized cable hoisted light bridges, specialized lighting and audio visual system. 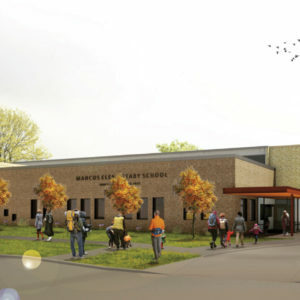 To support the program, drama classrooms, dance and music rehearsal rooms, dressing rooms, storage, and a shop are included. 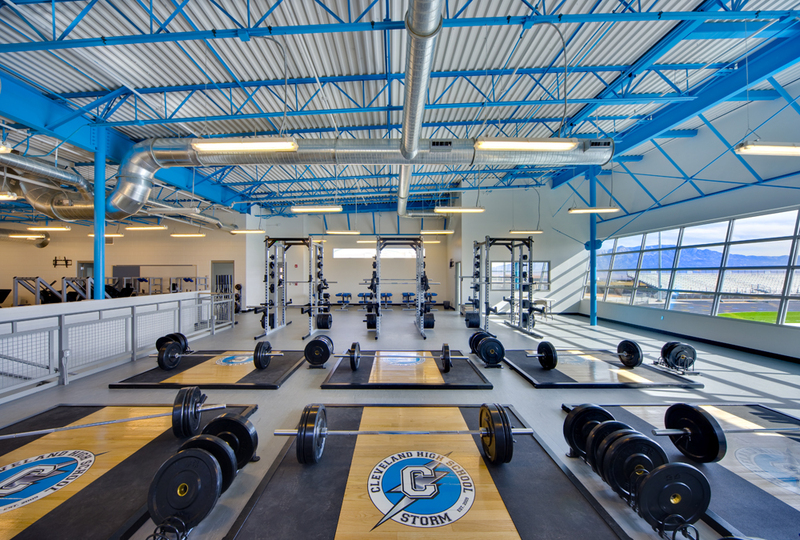 The many fields and large indoor split level PE facility provide for the Storm athletic programs. 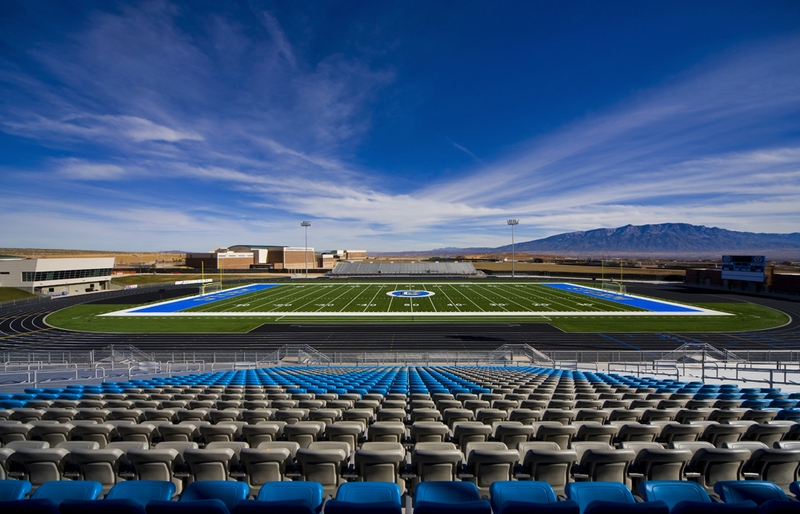 The outdoor track and football stadium includes home and visitor grandstands with seating for 6,000 spectators and a 400-meter running track. The two field houses contain weight rooms, locker rooms, concession stand, and equipment storage to provide for the programs. 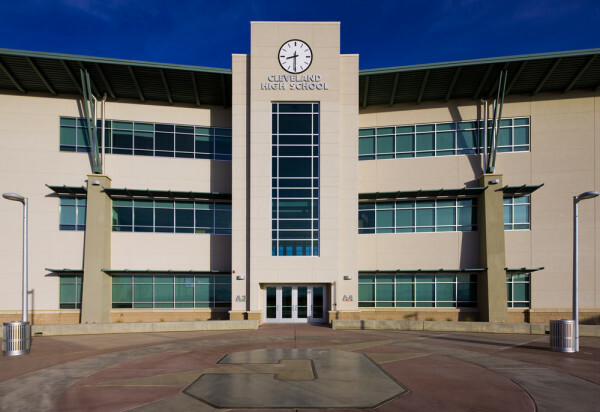 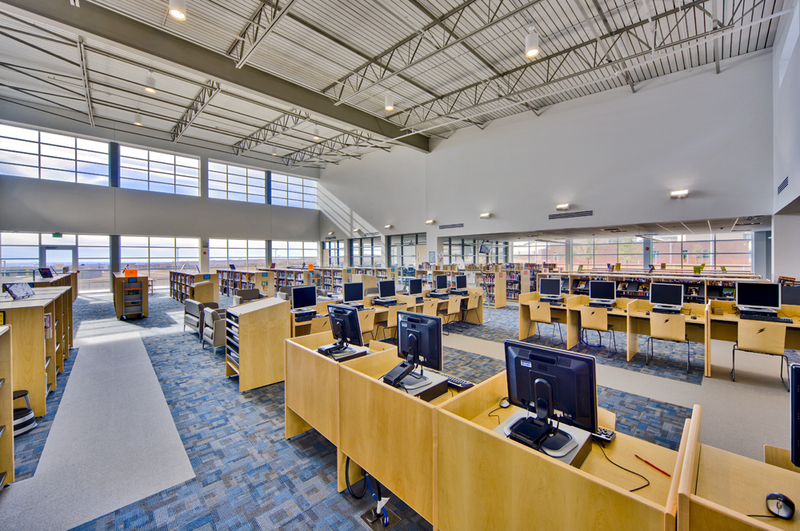 This school was designed under LEED Gold Certification principles and has sustainable elements that include ground-source heat pumps, extensive natural lighting, low maintenance materials, and heat-reflecting roof materials.